Judas Maccabeus: No. 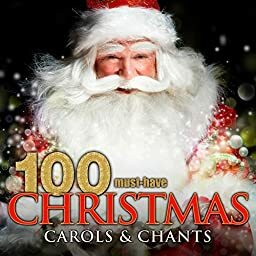 31 Chorus - "See, The Conqu'ring Hero Comes"
The Messiah, HWV 56: No. 12 Chorus - "For Unto Us a Child Is Born"
The Messiah, Hwv 56: No. 6 Chorus - "And He Shall Purify"
The Messiah, Hwv 56: No. 3 Chorus - "And the Glory of the Lord Shall Be Revealed"
The Messiah, Hwv 56: No. 19 - Chorus - "His Yoke Is Easy, His Burden Is Light"
The Lady of the Lake, Op. 52: No. 6 Ellens Gesang III (Hymn to the Virgin), D. 839 - "Ave Maria"
The Messiah, HWV 56: No. 15 Chorus - "Glory to God in the Highest"
A Ceremony of Carols, Op. 28: II. Wolcum Yole! The Creation: No. 10 Chorus - "Stimmt an Die Saiten"
Gloria in D Major, Rv 589: Chorus - "Gloria in Excelsis Deo"